For High Sierra (10.13) and Mojave (10.14) please use the x64 version. 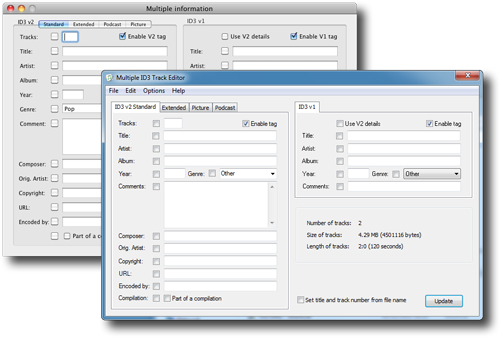 Editing albums or large groups of similar tracks is made easy by the group editor. This opens all of the loaded tracks into one window rather than opening them individually and shows only the fields that are the same in all of the tracks. This means you can edit those fields that have common attributes, such as 'artist', 'album', 'copyright' and 'artwork' in one go by only changing the fields that are selected, this also means there is no repetitive task of typing the same information over and over again. You can even copy data between the group editor and the single editor which is useful if you want to change multiple tracks to be similar to another or copy default track fields to a single track. 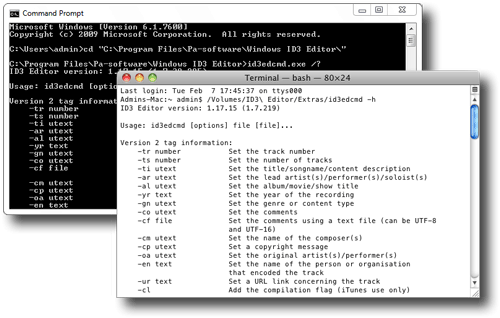 ID3 Editor reaches the parts that iTunes CAN NOT reach. 1. 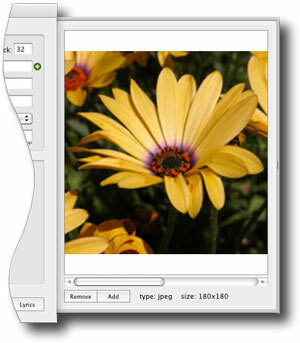 Purchasing an ID3 Editor license will enable you to use either the Macintosh or Windows version and the standard or universal binary version. The trial version limitations are that it expires after 30 days or 20 launches, whichever comes first. Features are subject to change. Requires compatible hardware. See terms and conditions for more information.